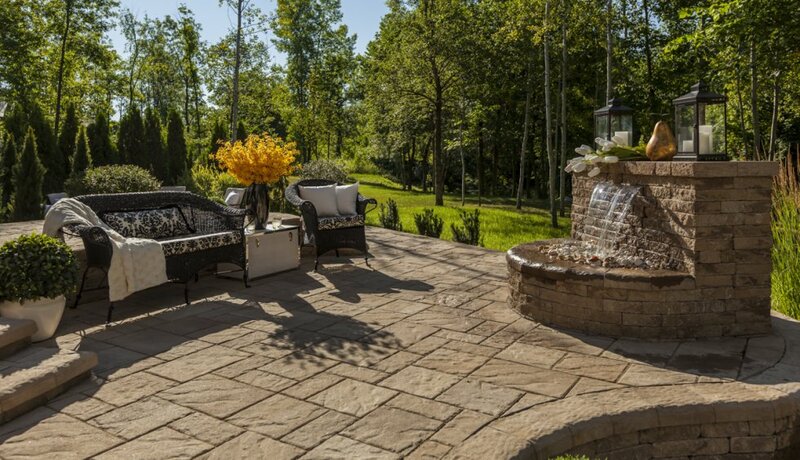 How Can Homeowners Know What Paver is Best for Them? 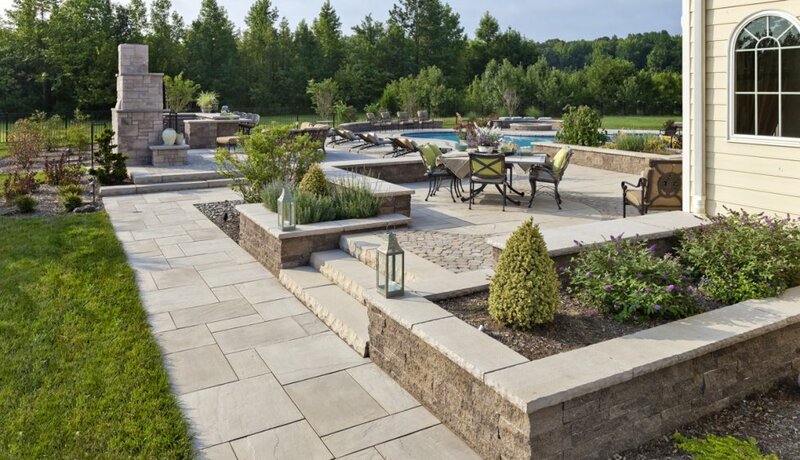 There are a myriad of paver styles and materials available to most homeowners that are planning a project in their backyard. 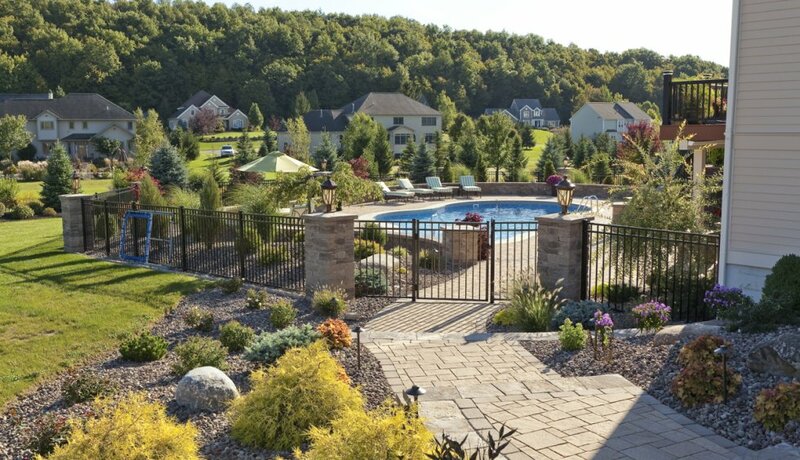 With so much choice available, it is a good idea to start your planning by narrowing your options by the size of your budget, the length of time you expect the material to last, and the actual type of material that will work best in your yard. Cost isn’t always a consideration. 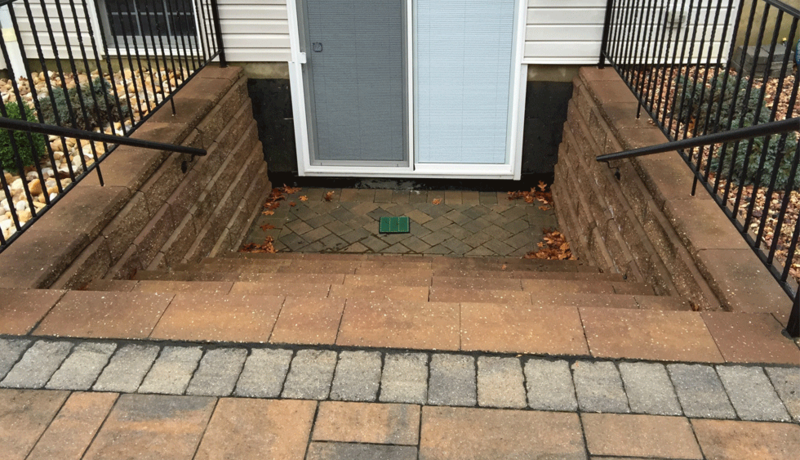 On the other hand, if you plan to put a sizable patio in, it can make a difference in paver choice. 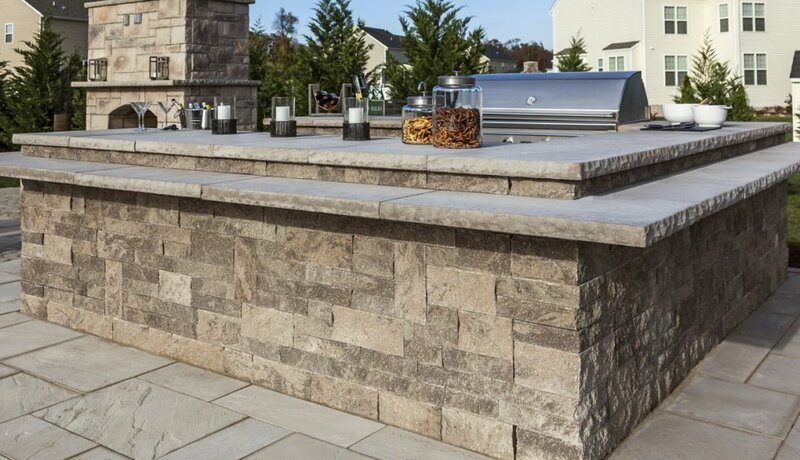 If you would like something elegant and are not limited financially this project, you might therefore consider using a stone paver installation that features pavers cut from real stone. Alongside stone pavers, either marble or tile are equally adept at impressing the neighbors, although with marble and some types of tile, you need to be cautious if you have a pool because they can be very slippery when wet. A second consideration for you as your project takes shape is the lifespan of the materials. 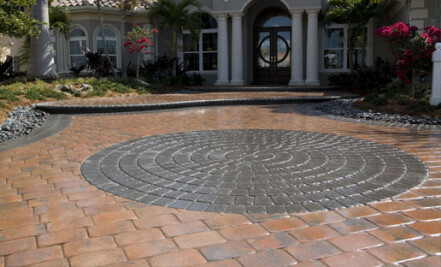 Most pavers are normally installed over the top of a concrete base with sand underneath them. This typically causes the floor to become stronger over time. Brick will last for quite a while, but can be broken with the right amount of force. 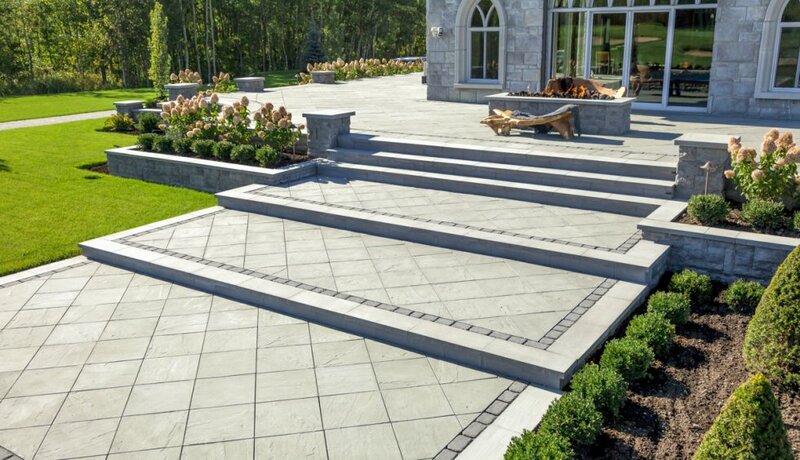 Concrete pavers are normally rated for an amazing amount of pressure before they break, making them a solid choice for decades of use. Tile is also very strong, but can crack if you have ground movement in your area. Natural stone will tend to move with shifts in the ground around it and will not break or crack. Large rubber tiles are rated for several years, but may weather or be subject to cracking after a few decades. The key thing for you, the homeowner to decide in advance is are you designing this project for the rest of your natural life or is there a chance you may change it later? If you might make changes at a future date, then you automatically have more options in terms of materials. Which materials will work best for you? Brick: Not only can brick be mortared in to seal your patio or walkway, it can also be set onto sand unmortared, providing a natural look. One of the functional positives of brick is that the surface is sometimes uneven, making it harder to slip when there isn’t a layer of ice on it. Another positive is that in terms of design, bricks can be laid in a variety of patterns that enhance the look of your patio. 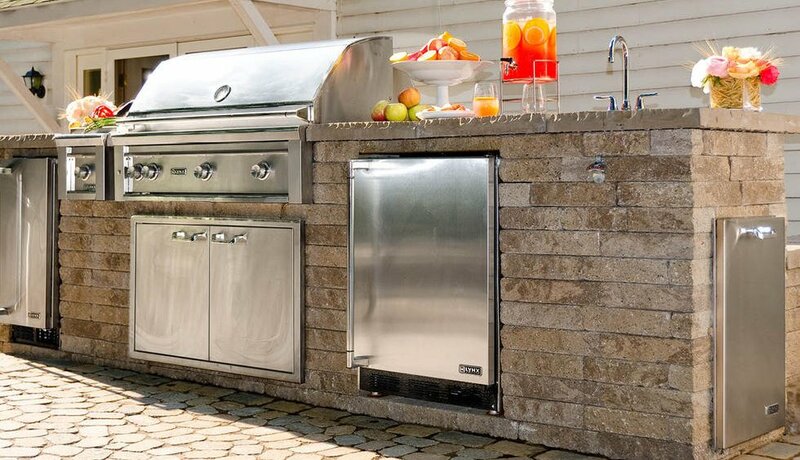 Concrete Pavers: One strength of concrete pavers as part of your project is that they come in so many different shapes and styles, you are certain to find something that will match the pattern that you are wanting to use. You can also choose between various colors. Stone: If your food recipe calls for capers, you don’t normally throw black olives in as a substitute. 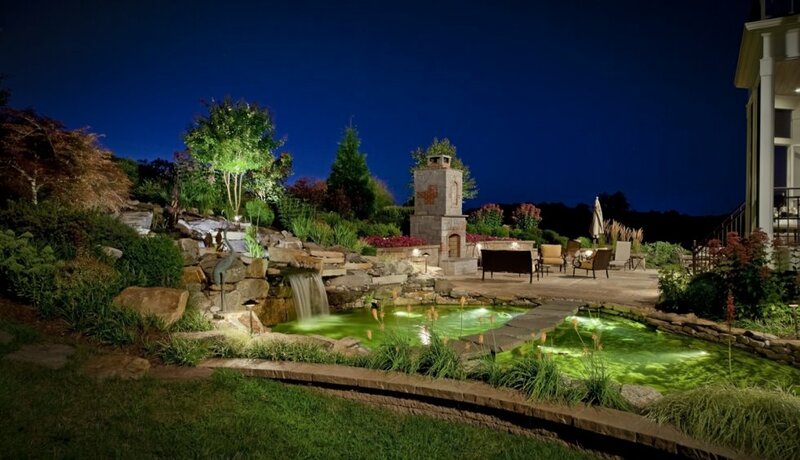 Similarly, if you are planning an elegant backyard, sometimes stone is the only answer as a design type. 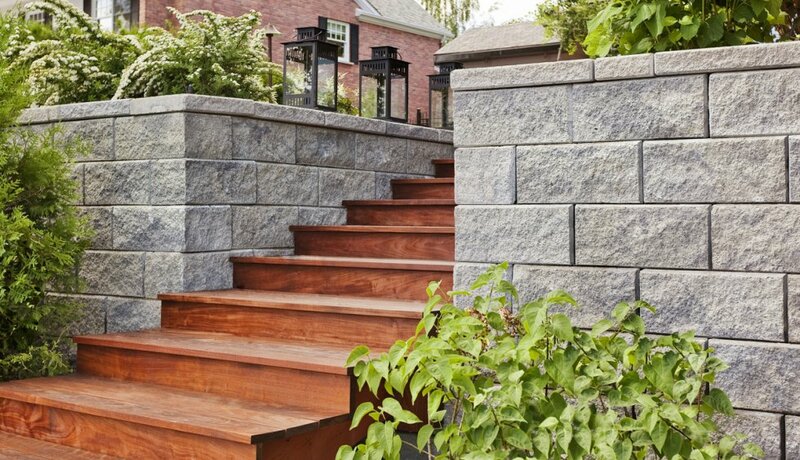 Well-designed backyard projects with stone can truly be masterpieces of outdoor style- unique, grand, and natural. Tile: Well-installed tile will last for a very long time. 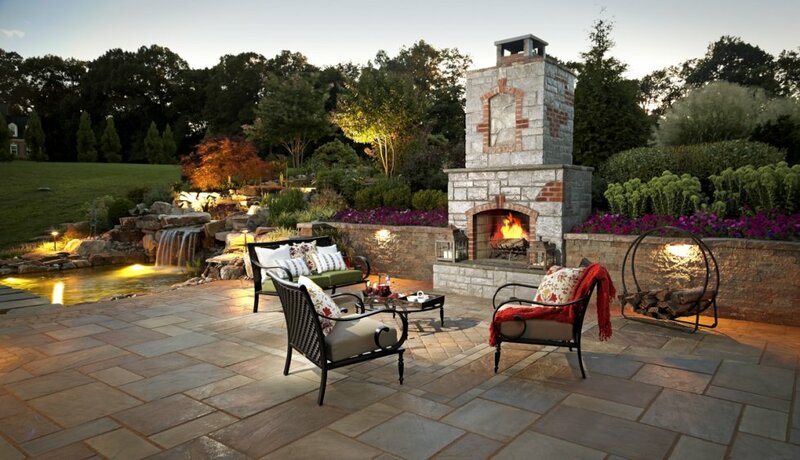 Like concrete pavers, there are many different styles and colors to choose from. 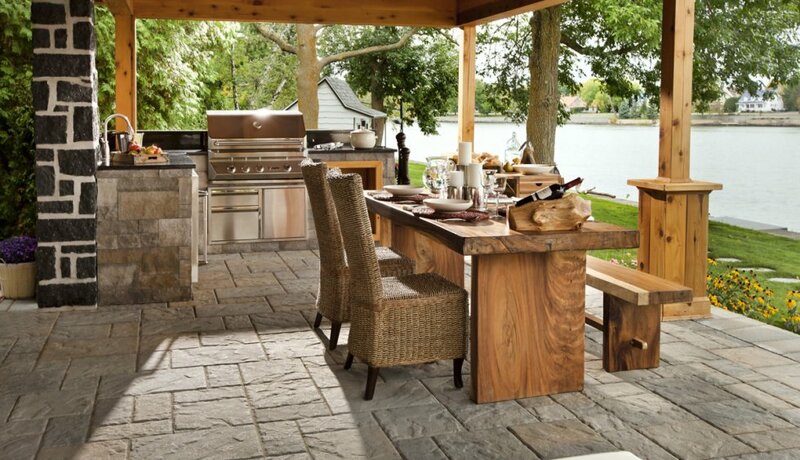 More so than any other material, tile can also convey the sense that you are in an outdoor room.